I'm in a panic here please help! 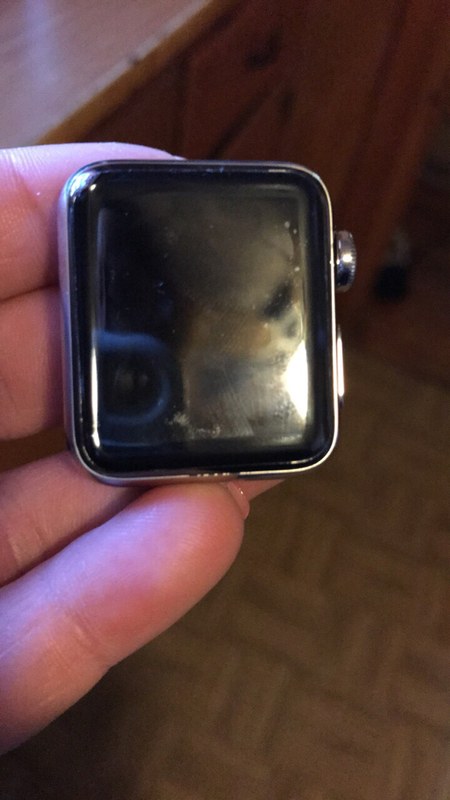 I got my ss series apple watch on Wednesday and immediately put a plastic full body cover on it. Just now put on my full screen protector. When I was done I noticed some black marks on the edge of the stainless steel near the screen. Is there some type of marking normally there or is this a defect? You can see it on the bottom right above my nail. Any help would be appreciated! Those marks should not be there. Quick question. Is it possible that it is adhesive residue from the body wrap or screen protector. If not have a look at it under a magnifying glass if possible. See if you can see anything. But those marks should not be there. anon(9602380), Jude526 and AppleKarma like this. I love Verizon! The watch already shipped and will be here Tuesday! My SE has really awful battery life. Could it be defected?